The Hands on L'Aquila Conference organized by the non-profit organization blogAway aims to help the economically neglected region of Abruzzo, still suffering the fallout from the 2009 earthquake. 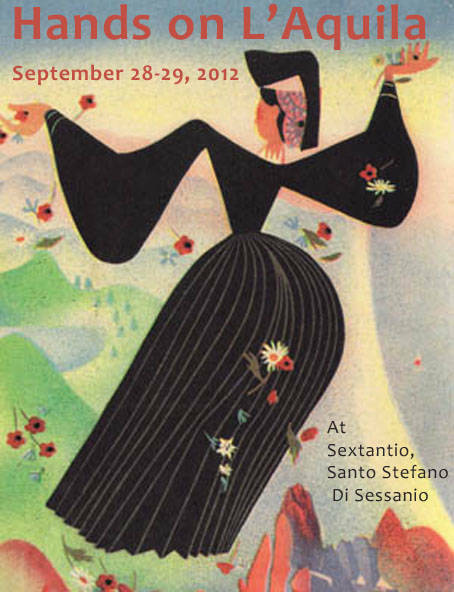 The conference will be hosted on September 28 and 29 in Santo Stefano di Sessanio, L'Aquila, and offers the unique opportunity for bloggers to learn and network while helping and getting to know the beauties and traditions of Abruzzo. Hands on L’Aquila is the title of an NGO bloggers conference for food, travel and wine writers that will take place in the old Medici town of Santo Stefano di Sessanio in L’Aquila, Abruzzo on September 28th & 29th 2012. The blogging workshop is a unique opportunity for online writers to bolster the economically neglected region of Abruzzo, still suffering the fallout from the earthquake that shook Italy in 2009. Participants will have the chance to attend 7 workshops daily led by internationally acclaimed experts in the Sextantio Boutique Hotel, where sagra style lunches will be part of the experience, together with tastings and pairings in the evening. The conference has a charitable scope, all of the profits will in fact be donated to two local community causes, selected for their potential contribution to improving the lifestyle of the community as a whole, helping to facilitate travel tourism within the area, increasing the brand reach of local food and wine producers and providing local employment. Hands on L’Aquila is organized by blogAway, a non-profit organization founded in 2011 by Sammy Dunham, an Online Marketing Consultant, who writes a blog by the name of LifeinAbruzzo.com and Helen Free, a literature teacher, who previously co-founded Italy in Other Words Writing Workshops. i-Italy interviewed Sammy Dunham to learn more about the initiative. What is an NGO bloggers conference? It is a philanthropic blogger conference, which is even more interesting than a straight-up charity gathering as everyone gets something out of the event. Attendees can optimise their blog, improve their writing, photography and image processing, fine tune their social media skills, and at the same time network with like-minded people. Local businesses and services profit though exposure in blog posts which drive long-term sustainable interest in travel and spending in the region. Profit from the conference funds two carefully selected local causes. So through sponsors, participants, and our generous speakers we can contribute to the economic and social re-vitalization of L’Aquila. What is Hands on L’Aquila’s mission? The conference title captures the sentiment many people feel for a beloved region recovering from the 2009 earthquake. It signifies reaching out, lending a hand. The name also is a reminder to those struggling to restore their homes, schools and livelihoods that they are not forgotten. Our first aim is to help raise the profile of L’Aquila. Naturally, we support the rest of Abruzzo as well. By hosting this conference in Santo Stefano di Sessanio, we will boost the local economy while offering a superb conference opportunity for regional and international bloggers. We see philanthropy as a joint effort between participants, sponsors and the commune and have encouraged local participation in every phase of planning. That said, our goal is to also involve organizations and businesses in the UK, US, and Canada to sponsor the event . How did you come up with this idea? And why did you pick L’Aquila? Helen approached me with the idea of holding a NGO workshop for new bloggers like herself with ticket sales donated to local causes. I thought we could probably attract sponsors and facilitate new business for the area and after all our brainstorming we came up with the blogAway concept and Hands on L’Aquila. L’Aquila is a city and region we both love and know well. It’s distressing to witness the lack of change in the 3 years since the earthquake and this was a small way in which we both felt we could help and encourage others to help rebuild lives and businesses through blogging and the use of social media. Do you and the other organizers have a special relationship with Italy and Abruzzo? Yes, Helen’s grandfather came from a pastoral family some of whom still live in the small village of Mascioni by Lago Campotosto, near L’Aquila. I am based in both the UK and Abruzzo. My partner and I have a little house in the centre of the farming hamlet of Bascianella in Teramo. 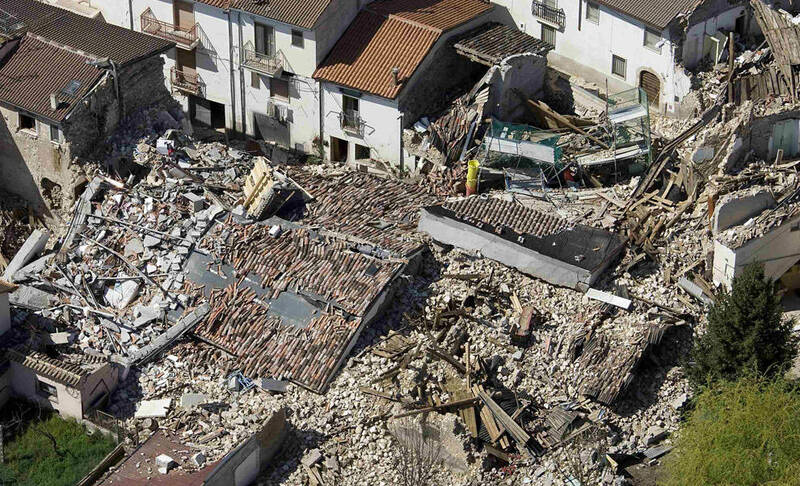 Both Helen’s family village and Bascianella were affected by the earthquake. In Mascioni, the Antonelli family home, unable to sustain damage to its roof, collapsed last spring. My direct neighbour is just one of two still unable to use her house and Bascianella lost the use of its church, something quite devastating to the older members of the village. In a village of just 12 families, some 49 km east of the earthquake’s epicentre the impact remains palpable. No repairs have been made or are likely in the near future. 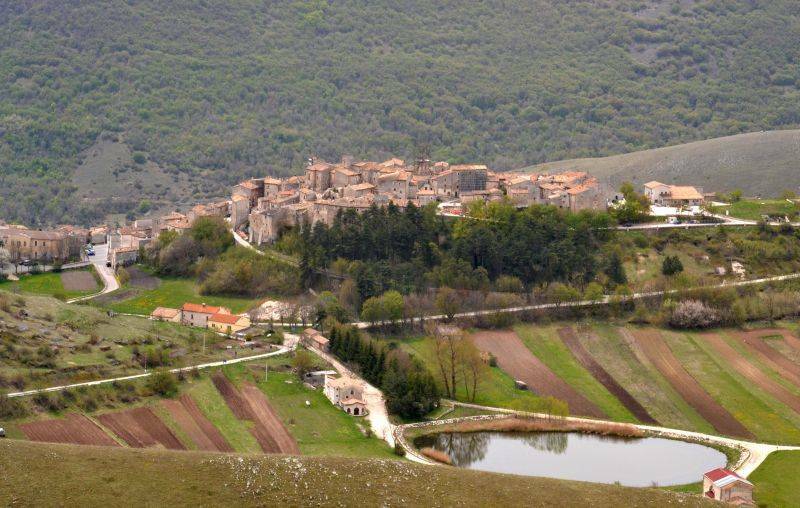 Tell us something more about Santo Stefano di Sessanio. Santo Stefano di Sessanio has received a lot of press since 2005 after Daniele Kilghren created Sextantio, the albergo diffuso that has helped bring the town back to life. Don’t worry, it’s still a very un-touristy, quiet old Medici town. It’s a perfect conference site because it has few distractions - just total inspiration in its delightful maze of cobbled streets and spectacular vistas. Food and wine is local, fresh, and memorable. The town lost its iconic medieval watch tower in the earthquake along with some residential housing. Making use of its Medici connection, the town approached the Uffizi Gallery to hold a summer exhibition to help promote the area. Last year this was attended by 5000 visitors and extended to October. We’re hoping that the same will happen this year and all our guests get to view this unique exhibition. Why is Santo Stefano di Sessanio better known as Italy’s “Little Tibet”? Well, the epithet becomes less mysterious when you visit. 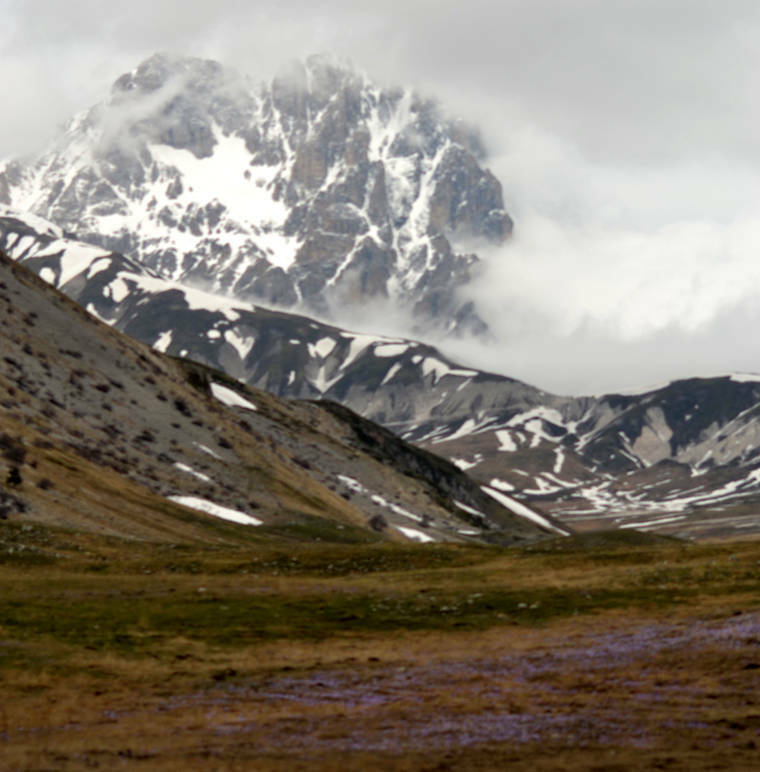 Santo Stefano sits 1,250 meters above sea level on the Campo Imperatore plateau, at the foot of the imperious Corno Grande which is part of the Gran Sasso mountain range. It is the most striking and unexpected landscape one encounters in central Italy. Just about all you can hear is the shutter click from a camera or the old tin bell from a roaming herd of cows or sheep. I believe the nickname comes from its natural beauty, its feeling of timelessness and its power to awaken the spirit. What topics will the conference specifically touch upon? The conference topics are all-inclusive, they cover the inspiration, etiquette and technical skills required,including copy-writing, food and travel writing, photography, search engine optimisation, social media, analytics, e-publishing and WordPress. The workshops are led by international experts who have a connection to the region – expert practitioners with a passion for Abruzzo. For those who cannot make it to the workshops, an audiocast of each workshop will be available. In what other ways will the conference help the bloggers? What about networking? Abruzzo, like other regions, has its own special flavors, sights, and traditions. The conference will bring these together in one place over the two day conference. Bloggers depend on learning new things to share with readers and businesses are happy to talk about their products or services. Spreading a good word to an international audience can revitalize an old market or - even better - create new markets. Besides the online column inches and beautiful photos in a blog, people simply get to know each other a bit. The world gets a lot smaller. Organizing a conference takes help from everyone. By way of example Santo Stefano’s Mayor Antonio D’Aloisio is inviting other affected communes in L’Aquila and Teramo on behalf of blogAway to exhibit and sell artisanal products representative of their area at the Saturday Market Day. This is to ensure that everyone affected by earthquake and austerity get ample opportunity to foster new relationships and attract new customers. What kind of crowd to you think will attend the conference? We expect a mix of writers from Europe, the US and Canada. From Italy we expect Abruzzese bloggers whom we hope to attract through our sponsored special discount. Nearby Rome hosts an active ex-pat and local blogger community many of whom have expressed interest. Italian bloggers relatively new to the genre seem eager to network and take their blogs to the next level. These days, businesses are adding a blog to their websites to put a human touch to their product or service. No matter the type of blog, whether travel, food, business, or personal, the very nature of blogging depends on building relationships. Truth be told, all writers need a break from working to contemplate, talk about, and rejuvenate their craft. We’re also hoping it may attract those with Abruzzese heritage who are thinking of starting a business blog but would like some pointers on where to start, how to keep it active and develop its community. As a taxable expense it is the perfect way to have a working holiday in Italy, check out family roots, and donate to two local community causes.